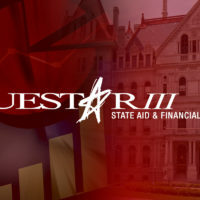 Questar III has developed risk assessment and internal auditing services specifically designed to meet the requirements of the 2005 Fiscal Accountability Legislation. We work with school districts and BOCES throughout New York State to develop a strong internal auditing function. We are a unique organization that understands what is involved to operate a school district efficiently and effectively. The staff at Questar III have school district knowledge, expertise and resources that separate us from other professionals. As a BOCES that has provided internal audit services for more than 10 years to Districts statewide, we have the capability to handle challenges that school districts will encounter. Questar III works as a team to meet the highest level of expectations. The internal audit department provides independent, objective assurance, and professional consulting services designed to add value and improve the operations of school districts and BOCES throughout New York State. We strive to help school districts accomplish their objectives by bringing a systematic, disciplined approach to evaluate and improve the efficiency and effectiveness of risk management, control, and governance processes. The internal audit department will provide value-added audits and professional consulting services with objectivity, fairness, openness, and in accordance with the highest professional and ethical standards. We will build leadership and expertise within our school districts to help drive positive change and promote integrity. We will continually improve service and strive toward being a leader in the internal audit profession. Preparation of reports which analyze significant risk assessment findings, recommend changes for strengthening internal controls and reducing identified risks, and specify time frames for implementation of such recommendations.